I went in to the Jonesboro store looking for nice but inexpensive carpet for our home. Anna was great at pointing me in the right direction and helping me to decide on the best carpet for our needs. I would definitely shop there again if I were to need carpet in the future. I am writing you this letter to thank you for the great experience I had with your store. From the pleasant greeting by Mark to the excellent service by your sales associate Dee. I didn’t know much about carpet, but I know what I like. Dee took me to your huge selection and gave me a great presentation. Even your installers were very courteous and the did a great job. 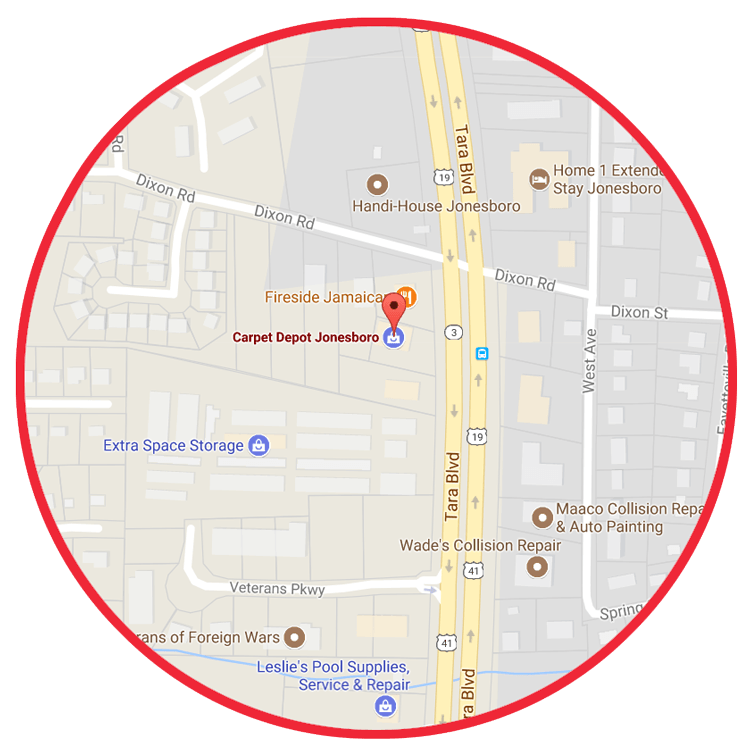 I will make sure that all of my family and friends go to Carpet Depot Jonesboro. Thanks again for the five-star experience. I needed carpet for a big event that I was planning at my home. It was my 30th wedding anniversary. I ordered carpet from H*** D****. They originally said it was going to be installed a week before the event, but then I received a call from the sales associate stating that the carpet install would be back ordered and that I wouldn’t receive the carpet until after our party was to take place. My girlfriend suggested that we go to Carpet Depot. Boy, am I glad we did! Not only did they already have the same carpet in stock, but the service was top notch. Wayne was very knowledgeable and courteous. We saved $570 by going to Carpet Depot. And we had our carpet installed the next day. Thanks, Carpet Depot. We will be back and we’re telling all of our friends! I had an older home that I inherited from my grandmother. The carpet was 35 years old. A very large home; I was told that I need 250 yards of carpet. I had several quotes ranging from $5000 to $9000 to carpet the house. Carpet Depot was able to carpet and vinyl my kitchen for just under $3300. I was able to finance it with 6 mos same as cash. They did a wonderful job ad I have and will continue to recommend them to all of my friends and family. The best thing about Carpet Depot is the ability to see the carpet before it is being installed. I could visually inspect the quality of the carpet and see if the colors would match my existing decor. The staff (Wayne and Dee) are very friendly and helpful. Jesus and the rest of the installation team did an excellent job installing my carpet.